Faced with this, many leaders decide - understandably - to ‘make do’. Rely on our instincts to manage the team and get the tasks done. It doesn’t require a huge amount of effort, but results in only incremental performance gains. More worryingly, it keeps the leader overloaded, and the team under-utilised. I call this the Level 1 option. The other option is ‘swallow the pill’. This is Level 2. Invest a lot of time and energy to fix team issues. Better results, but lots of management effort. The problem is many of us just don’t have the time, and so good intentions often crumble upon the onslaught of tasks to be done. Some examples of ‘swallow the pill’ - there are many - include open-door policies, flat organisation structures, a lot of performance management processes, team meetings, delegation techniques, etc.. There IS a Level 3. This is where team performance rises dramatically whilst management effort actually SHRINKS! Actually, we see a similar curve in other spheres of life too. Let’s take the simple example of losing weight. Level 1 is making a vague commitment to the idea and perhaps eating a few less chocolates - but not much changes. Level 2 is throwing yourself into a big diet and exercise regime. You get results but it’s a lot of work and it’s difficult to sustain. Level 3 is more about becoming a healthily-minded person: armed with a new mindset you make minor changes to some critical habits and the weight falls off without thinking about it. Level 3 is more strategic - some upfront investment for sure, but actually it’s the art of doing more with less. Another example - investments. Some of us abdicate on our investments and get a low return (Level 1); others actively invest in funds and products for better returns (Level 2); a select few secure exceptional returns with less time (Level 3). The Level 3 players tend to think differently about risk, about market dynamics, about leveraging advisors, and about their portfolio. So - how do we play at Level 3 as a manager or leader? Over the last few years we’ve distilled this “Level 3” thinking into five ‘Performance Activators’ for teams. You can think of them as “meta-levers”. They are “the levers that pull the levers” of team performance. They don’t take much time, but they do require a different mindset and focus. It’s the inner shifts that naturally create big outer shifts with little time or effort. For example, one activator is Exponential Learning. The progress of the team depends on the speed of the learning of the members. 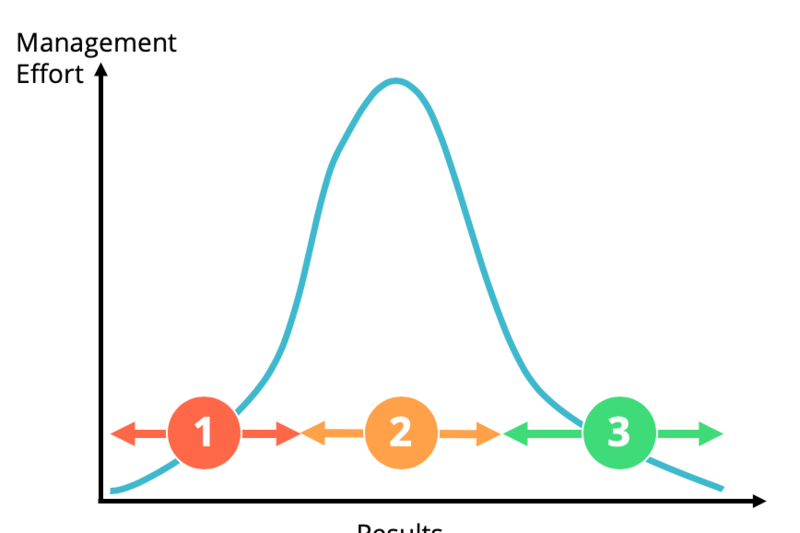 Level 1 teams have a consistent level of performance, but learning is accidental and progress is slow and incremental. Level 2 teams do develop and grow their skills. But it’s fairly isolated, individualistic and sporadic. Level 3 teams actually get better at getting better! They multiply skills naturally across the team; they instinctively run short feedback cycles on everything they do, and feedback flows easily and constructively without drama. For Martin, one of my earliest clients, this was a game-changer. He’s an acknowledged super-star in his field; an industry influencer and incredibly clever analyst. He was getting better… but figuring out how to get better at getting better was a totally new idea. I’ll tell you more about his story some other time. 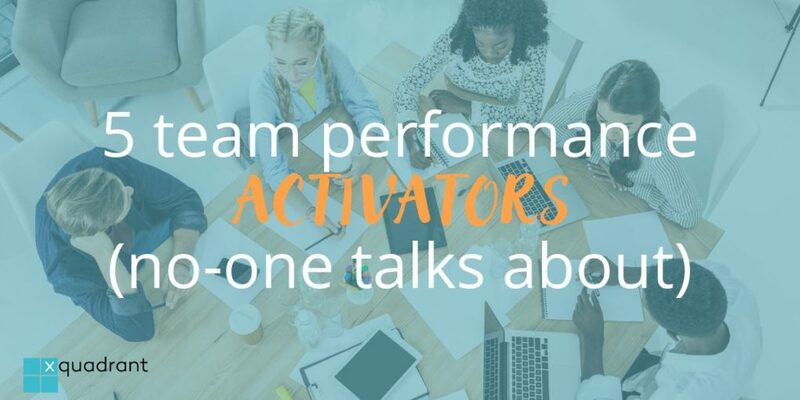 If you want to discover all five Performance Activators, and assess which of these would make the biggest difference to YOUR team, I invite you to check out the Team Activation Blueprint here.